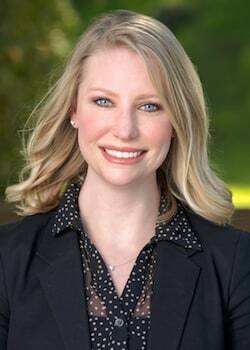 Lea M. Nemeth joined Mello & Pickering LLP in January 2019. In 2010 Lea received her Bachelor of Arts degree in political science from San Diego State University. After graduating from San Diego State, she moved to the Bay Area and worked for a local tech company as a university recruiter and talent programs specialist. Lea went back to school in 2015 and received her Juris Doctorate from Santa Clara University School of Law in 2018. She was then admitted to the California State Bar in December 2018, after passing the State Bar exam on her first attempt. During her law school education, Lea gained extensive experience in social justice through interviewing and counseling low-income clients with immigration concerns at the Katharine and George Alexander Community Law Center, studying at the International Criminal Court in The Hague, attending summer seminars on Public International Law, Human Rights Law, International IP Law, and Humanitarian Law at the United Nations in Geneva, and being elected to the Santa Clara University Social Justice Coalition’s Executive Board. Lea’s hard work in law school earned her an invitation to participate in Honors Moot Court, and she was asked to mentor international exchange students and rising Social Justice Coalition 1Ls. Also during law school, Lea worked for a well-known and well respected family law judge at the Santa Clara Family Justice Center. This experience helped solidify her passion for family law. Lea’s passion for social justice led her to family law where she has found that empowering families is one of the most essential forms of social justice. Lea’s goals are to always ensure her clients understand the legal process so they have access to actively participate in their own cases, and to give her clients some comfort in knowing she is doing everything she can to advocate on their behalf. When not working, Lea enjoys traveling, cooking, and going to concerts.